1969, 60s Menswear, Retro Beginners Clothing Patterns - Fab men's or women's robe with transfer for 3" alphabet. 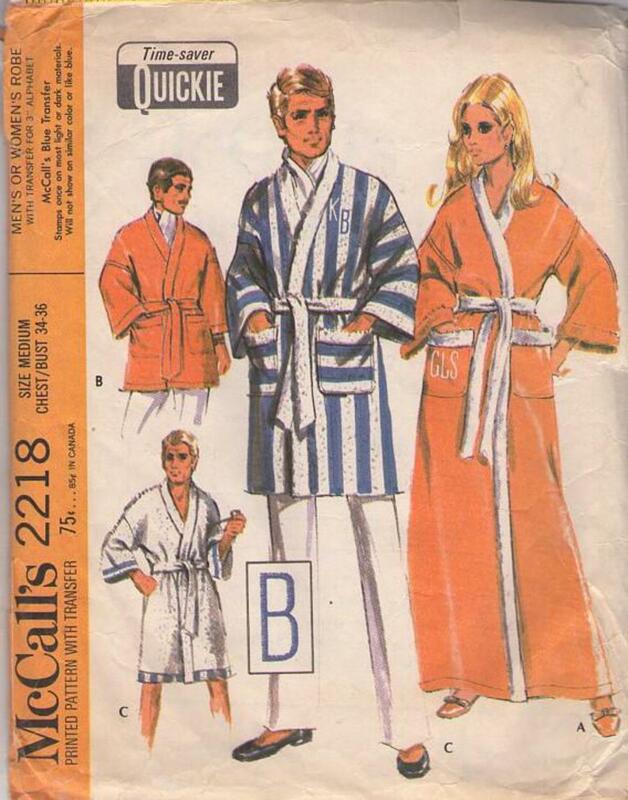 Same pattern makes a short regular or full length robe. A, unlined long robe, banded and belted with contrast fabric has embroidered monogram on pocket. B: Unlined short robe is made all of one fabric. C: Regular length reversible robe is lined, banded and belted in contrast fabric. Monogram in embroidered at chest. Pattern includes directions for hand embroidery and two impressions of M blue transfer for 3" high alphabet.